Built Alfas are a rare sight in car magazines, even though Alfa enthusiasts are a tight and spirited community around the world. Sebastien Romi from Espoo saw the potential in this italian stallion, and decided to create a hybrid consisting of Italian finesse and Japanese sportiness. The car's full name is 164 QV, where the QV stands for ”Quadrifoglio Verde”. In short that means that the car is fully loaded with all the goodies available 26 years ago. A beefier front spoiler, side skirts and extended rear bumper are indicators that separate this from a poor man's 164. Sebastien's father has always been an Alfa dude, so it was only natural that the son caught the same fever. Sebastien bought this car in 2012, and it served then as a daily driver. The car was easy to select from the herd, since it was the only one on sale in the local Craigslist (Nettiauto). It had 420 thousand kilometers on the clock and had some tear and wear, to put it nicely, but Sebastien knew that car and it's owner through his job, so he took the plunge. 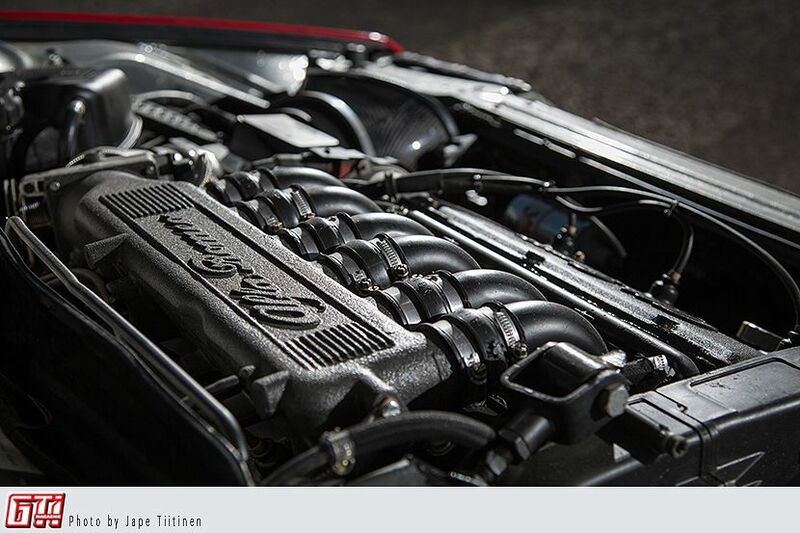 The engine is a 3.0 12-valve V6 that has a very unique sound. Sebastien had about 20.000kms to enjoy this sound, when the timing suddenly decided to skip a few beats. The engine was hoisted from the car to inspect the damages, and it was found that it was more of a wreck than an engine at this point. Instead of re-envigorating the carcass it was easier to buy a new engine at this point. A new engine was found from an acquaintance, who agreed to sell it to Sebastien after a small negotiation. The engine swap was of course not a cakewalk, and for example the other cylinder head had to be swapped. All in all the engine now works perfectly in stock form (with the exception of a cone air filter) producing 200hp and 274Nm. The car's status had changed from daily driver to a project car, so a lot of ideas were spinning around. At first the car was supposed to become a VIP-styled black, low, big rimmed and leathery mafia car. After some engine problems the style changed into oriental direction. Sebastien always liked the Japanese A-BO-MOON drifting team and the Shakotan style in itself, and that style can now be seen in this car. 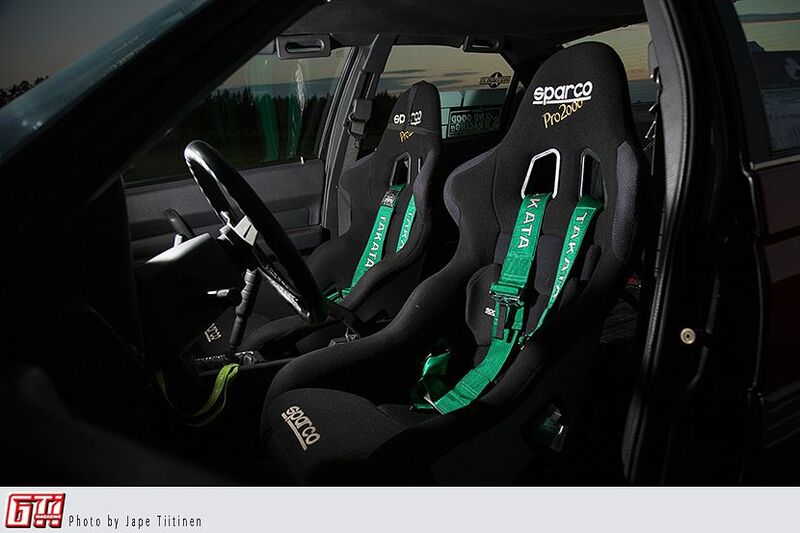 The interior was built in race fashion, so the rear seats were removed and the front electric seats were replaced with Sparco Pro 2000 competition seats. In terms of styling the interior was ”blacked out”, as the rooflining was upholstered in black and the floor carpet was painted black. The gear shift knob is made from a BMW bike's peg, which is a nice little detail. Sebastien wanted to lower the car, but after a long search he found to his disappontment, that there are no coilover sets for this car. He contacted Mike Decarli, who has built a very low '91 164S. When Sebastien asked what suspension he had, the answer was just a short message ”it's self made”. Alrighty then. Sebastien saw this as a green light to create the coilovers himself, and started to work on the project. 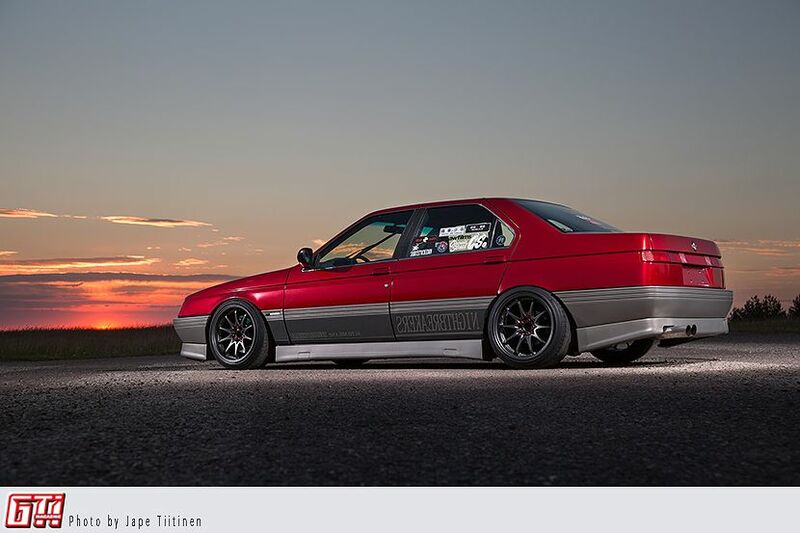 After some searching he found suitable coil sleeves and springs from Lautamäki Motorsport. The front springs are 8”x20kg/mm and the rear are 10”x18kg/mm. The front upper camber mounts are universal models, that were then modified to suit this car. The lower connection points could be relocated a few centimeters upwards, which made the range of motion better for the struts. After the suspension was finished Sebastien decided to renew the old black paintjob. After a long consideration the upper half of the car was wrapped with Arlon True Blood vinyl that was suggested to him by Teippitukku.fi. The lower half of the car was painted in champagne gold and finished with matte lacquer. The two-colour theme works perfectly, even though the owner had some insecurities about the red vinyl, or of the exact hue of the red, to be exact. 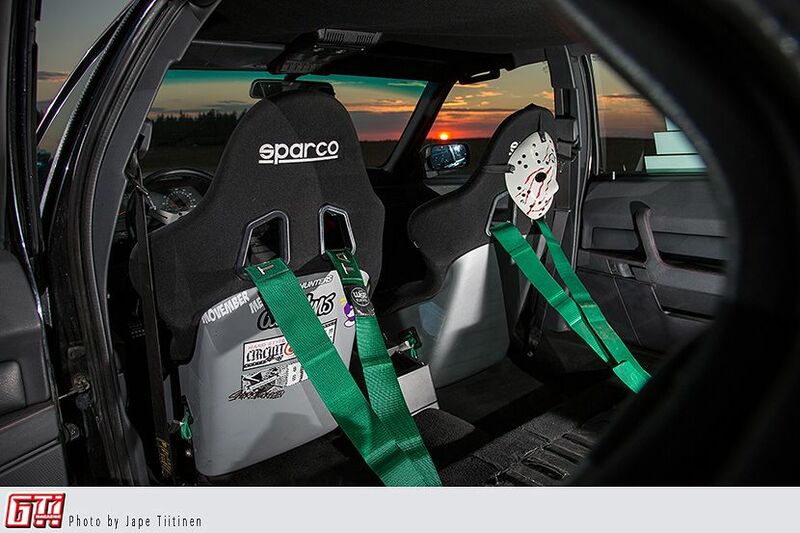 The Takata belts are strapped to a harness bar and Jason is hiding behind the seats, as usual. After the car was ready it was time to show it to the world. 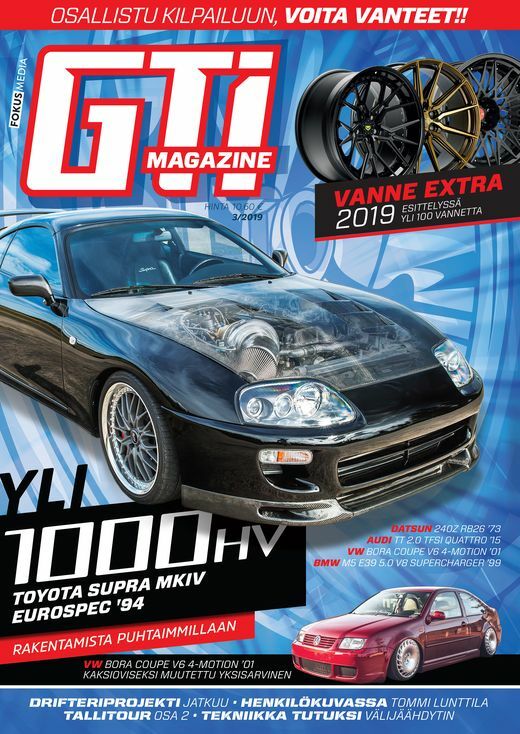 Sebastien found out in 2015 spring that he was a contender in ”the young tuner” contest (Nuori Rakentaja), which is held on easter during American Car Show. After the show was over he spent the following summer just cruising around and enjoying the fruits of his labour, enjoying life and stuff. 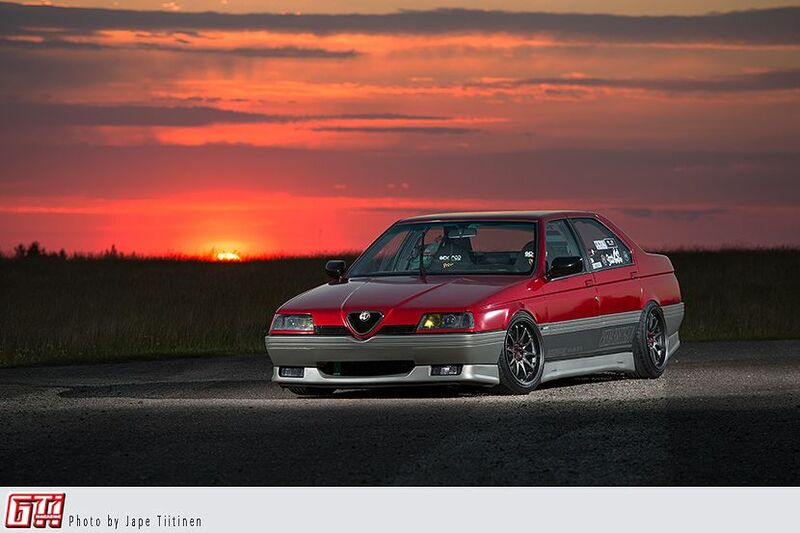 However, the story of this Alfa ended soon in an unfortunate car crash. Luckily all that was lost was some metal. Nicely painted and wrapped metal, yes, but that can always be bought again.